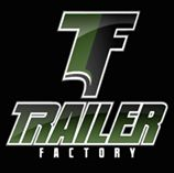 Description: A family owned and operated business, Trailer Factory has brought a variety of quality built trailers throughout Miami, Florida, and even International customers. We specialize in Custom and standard Cargo Trailers, though we even make things from food trucks to mobile kitchens and motorcycle trailers. Our vehicles can be built as anything from small units to large trailers with office space. Modern designs and graphics push our builds to help you succeed to your full potential. Customer Reviews: None yet. Contact us to leave your review.